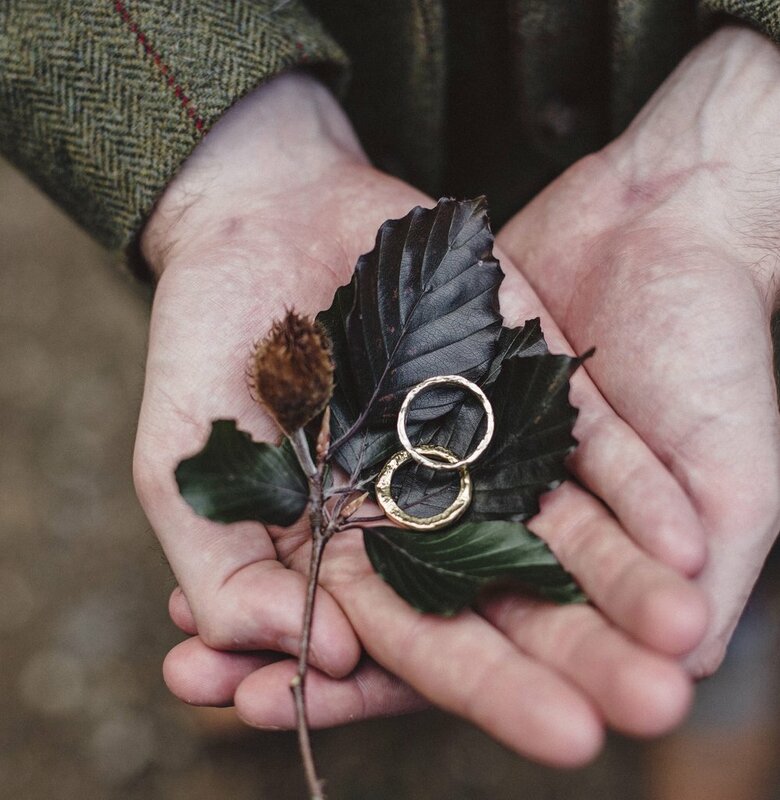 If you're familiar with Erin Cox Jewellery, than you may be aware of her beautiful collection of wedding rings, and if you're not, than we've got a treat for you. Erin has long created hand melted wedding rings, who knows how many she has made, it's probably not worth contemplating! Over the years, there were certain ones that really spoke to her; the shape, the weight and texture. These have become her tried and tested capsule collection of wedding bands, with their own unique identity. Inspired by molten rivers of gold, the rugged landscape of Devon and in particularly Dartmoor, these rings mimic the weatherworn and furrowed surfaces. They are now aptly named after the rivers that inspired them, and available in all metal options including Fair Trade Gold. In 2017 Erin, and the team decided that this collection was ready to be it's own stand alone entity; but fear not it's still very much of the Erin Cox family. The Molten Wedding Ring Company was born, and has been going from strength to strength since then. 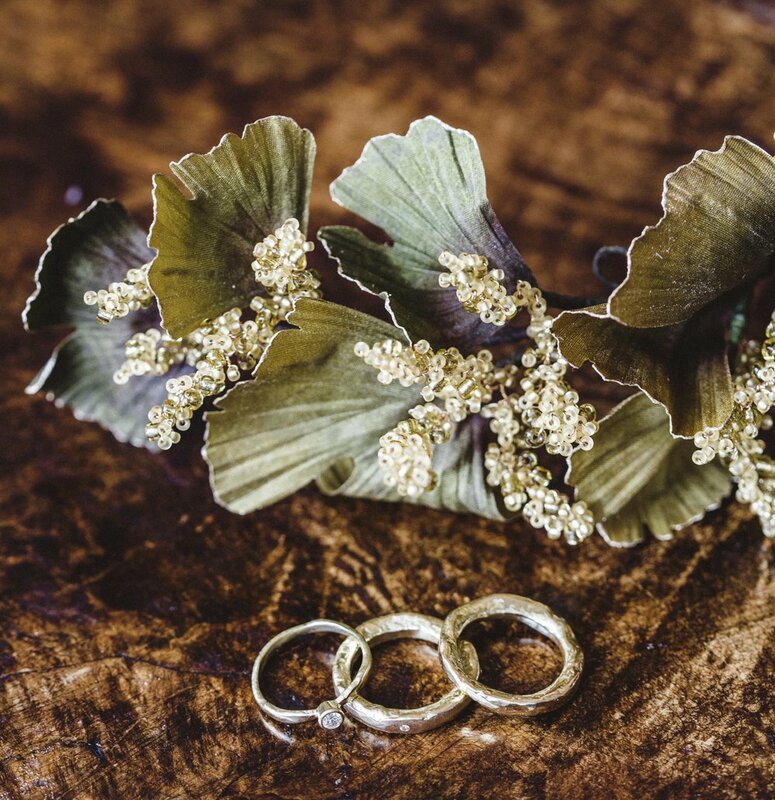 If you haven't had the opportunity yet, please take a look at the visually beautiful website Laura created at www.moltenweddingringcompany.com It's perfect for couples that are starting to plan what they would like for their wedding bands, with wonderful large, clean photo's. If you are the sort of couple that are looking for something made with integrity and individuality than look no further. Each ring is cast using Erin's hand made moulds and the finest of materials. They are then hand finished in our Exeter studio to the customers specification. If you want to have a matte finish, your wish is our command! They are then finally hall marked at the London Assay Office (see our last blog post: Mark of a Maker).